The cracks in Silicon Valley's unicorn club are starting to show. Tech firm Jawbone confirmed to CNNMoney that it has cut 15% of its staff -- 60 people -- and has shut down its New York City office. 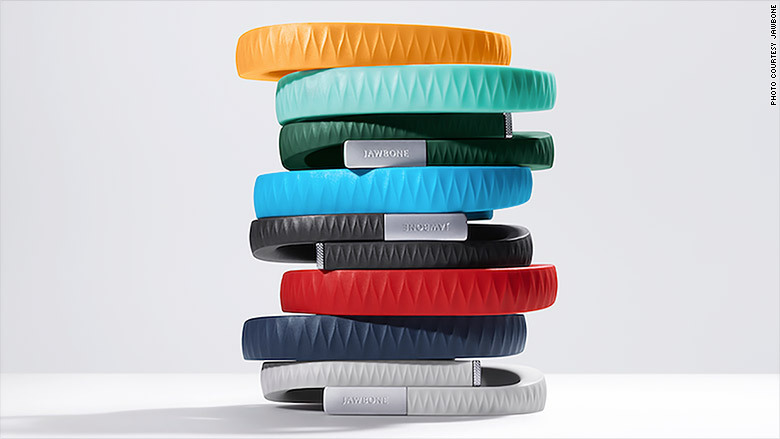 Jawbone, which makes wearable fitness trackers and consumer electronic devices, is one of the older "unicorns." That's Silicon Valley speak for privately-held companies valued at $1 billion or more. There are now more than 140 companies that make up this set. Jawbone has been around since 1999 and earned "billion-dollar" status in 2011, according to CB Insights. It was last valued at $3.3 billion after it raised $300 million in April. Jawbone said in a statement that the cuts are part of its "strategy to create a more streamlined and successful company." It still employs over 400 people in six offices in the U.S., China and London. "We are sad to see colleagues go, but we know that these changes, while difficult for those impacted, will set us up for greater success," the statement read. Jawbone said there are no further layoffs planned. The news was first reported on Friday by TechCrunch. It's not the first time the company has downsized this year: It previously laid off 20 people in June. Other unicorns have also shed employees in recent months. Evernote, valued at $2 billion, laid off 47 people and closed three of its global offices in October. Meanwhile, LivingSocial lost its unicorn status in 2012, when its valuation dropped from $5.7 billion to $325 million, according to PrivCo. And it continues to falter. It laid off 20% of its staff -- or 200 people -- in October. Investors are increasingly warning that the funding environment is unsustainable and that there will be some casualties. The companies struggling to make money and those spending more than they bring in are on the front lines.